The Military-Family: One Thousand Posts - Let's Celebrate! What do you have to do to be eligible for one of these prizes? First off all this blog is written for and by the military-family. So you need to be somehow affiliated: a spouse, a service-member, a veteran, a "Brat", a parent. The military-family deserves to be recognized; let's make sure they get the most out of this fun collection of prizes! There are more ways to get your name in our drawing additional times! One more thing, one prize per person and the winner has to be eighteen or older. This is very exciting! We will close the contest on August 11th, 2011 at 8:00pm EST. I will contact the winners (look for an email from leanne@militaryavenue.com) and we need to hear back from them before August 16th, 8:00pm EST. Otherwise we will contact alternate winners. Look for an announcement of all the winners on Tuesday, August 22nd! Thank you for enjoying this trip with us! "Our Letters to You", a military family blog, has been a long, winding, wonderful road and I can't wait to continue this journey with you. This is great, CONGRATULATIONS! I signed up for the newsletter, the alerts and liked and shared the blog post on my facebook thank you for this wonderful oppurtunity as you don't find alot of oppurtunities like this else where. I am an Army spouse and have been for many years and appreciate reading the blogs and help answering questions others ask. Good Luck! You can reach me at prdarmywife at hotmail dot com! Congrats on 1000 posts! I am a Army veteran and now an Army spouse. I signed up for the newsletter, alerts and shared on my FB page. My email is heatherndriscoll at gmail.com. Thanks for all the great resources! WOW! Such an amazing giveaway and thanks! Congrats on the 1,000 posts! Thanks so much, Morgan! If you are a military family member let me know your email address and I'll put your name in the 'hat'! Thank you, Fred! 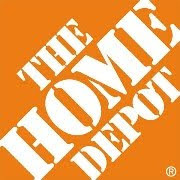 Thanks for all your help in introducing us to the Home Depot Foundation. It has been a pleasure working with you. I also subscribe to the ALERTS. Thank you, Tauna. I put your name in our 'hat'! Best of luck to you. I subscribe and have been fighting the VA and our government for Agent Orange direct exposure on Guam where I mixed it by hand and hand power sprayed barrels and barrels of Agent Orange herbicides and bags and bags of Agent White and Agent Blue herbicides for the US Air Force . Mil Ave is one of the more useful sites I visit! Thanks for all that you do! Thank you for doing this for our military families. You all are doing a wonderful job. I really appreciate the newsletters I get in my email, they are always informative and winning a prize isn't bad either! Congratulations on all your hard work! There are 18 veterans in the United States that commit suicide everyday and one (1) shelter animal is put down every eight seconds — P2V’s work helps facilitate the healing and support for the 10-12 million men and women who suffer with some form of psychological condition and homes for the four-five million sheltered animals who are euthanized every year so that both may live in dignity as they embark on their journey together. P2V provides our nation’s heroes a choice in selecting an animal of their choice, while providing cost-effective animal assisted activities (animal companionship) as they pursue rehabilitative and therapeutic care from their health care providers. Please visit p2v.org Here is their mission. Thanks so much, Heather! I confirmed you subscribed to both the newsletter and alerts as well. Consider yourself entered four times. :) Best of luck. Great contest! Hope that I win! My name is GySgt Thomas West and I am an active duty Marine station at Gulfport, MS. My email is thomaswest76@gmail.com. Thanks! HI!!! I'm Melissa Thompson and I'm a very proud Army wife!!! I subscribe to your newsletter and for the military avenue alerts. I will share this contest to all of my facebook friends as well!!!! Thanks for all you guys do....YOU ROCK!!! I'm Heather and I'm an Army wife. I tweeted about the giveaway and I'm a newsletter/email subscriber. I'm Nancy. I have been an army wife for a little over 18 years! I am so very thankful for all the resources now available to military families. Congratulations on 1,000 posts! Looking forward to thousands more. I also posted it on my Facebook page. my name is alexia and im a marine wife of many years. good luck to all for the contest. thanks for having a site where people can get answers easily. too bad this wasnt around 15+ years ago. oh wow, what an amazing giveaway! My name is Lina and i'm an army wife to a deployed LT holding down the homefront with two little boyos. thanks for all you do for miltiary families! Hi! my name is Debbie and I'm a PROUD mom of my Navy daughter. I think what you do is wonderful & subscribe to your newsletter. My email address is: debday116atyahoodotcom. Thanks so much!! Congratulations on one thousand posts military avenue!! Thank you for all you do for the military community, and thank you for the opportunity to win some fabulous prizes! Thanks, Michelle! Your name is officially in the "hat". That brings your total entries to a grand total of 5. Best wishes! Thank you for your service, Msgt! I see you are a long time subscriber. Thank you. As a subscriber to Alerts and the Newsletter (plus this comment), I put your name in the hat three times. Thank you so much for your kind words, Allison! I would love to enter you into the contest just leave an email address that I can contact you with if you are the winner. Thank you! If you are part of the military family yourself leave your email address and I'd be happy to enter your name into our hat. Thank you, Irma. I have put your name in our hat. Best wishes! Thank you, Kim. Consider yourself entered! Best wishes. Thank you, Kelly. I see you receive our newsletter and Alerts! I just put your name in our hat three times. Thank you, Melissa. Alerts - check; Newsletter - check; comment - check; Facebook - check. That is four entries. Best of luck! Appreciate the support thank you! Thank you, Christina! You are officially enetered four times. Best of luck. Thank you, Nancy! I see you also receive our newsletter and Military Alerts. I have put your name in our hat three times. Best of luck! We love giving the support - military family to military family! If you are part of our military family I'd love to put your name in our hat. Just let me know what your email address is. Thank you, Rachel. I have entered your name into our contest. Best of luck! Thank you, Alexia. I see you also subscribe to our Military Family newsletter. I have entered your name into our contest two times! (once for your comment and once for your subscribtion.) Best wishes! Thank you, Nicole! I have entered your email address in our hat. Best of luck! Perfect! That is worth two more entries! Writing a blog about the contest is a perfect way to increase your chances of winning. Great! And I saw your post from Facebook. That brings your total entries to seven. Best of luck! Thank you, Debbie. I put your name in our contest two times; once for the comment and once for being a newsletter subscriber. Thank you so much for your kind words! If you are part of the military family we would love to enter you into our contest. Just let us know your email address. Also, here is your extra credit for being a MilitaryAvenue Subscriber since 2009. Thank you! Mrs Ron - As a military family we know how important support is. *Thank you* for recognizing that! If you are part of a military family let me know your email address so that I can enter your name in our contest. Thank you, Tom! Wow, 'The Lady'! I love it. Positive empowerment is so important amongst our military families right now. I have added your email address to our contest. I see you also receive MilitaryAlerts and our Family newsletter. You now have three chances at winning a wonderful prize. Hi! My name is Jennifer Keeler and I have been an army wife for 16 years. jenniferkeelerathotmaildotcom. Thanks! Thank you, Jennifer. I put your name in the hat! I see you are also a Newsletter subcriber... that's two entries for you. Best wishes! Hi! my name is Christie Smith and I have been an army wife for 15 years. Thank you for all that you do. I have learned a lot from all the great information that you put out. Congrats! on your 1,000 post. Thank you, Christie! I entered your name in our hat. I see you are a Newsletter and Alerts subscriber as well. So now your name is entered three times. Best of luck! Congrats on this HUGE milestone! Keep up the good work! AirmanMom is the proud mom of two United States Airmen! Hello! I'm on FB and also receive newsletters. Ty so much for the opportunity to enter this contest. Thank you so much, Kelly! We certainly appreciate all of your support, as well as Sears, for the military family. Thank you, Christine! Comment - check; Newsletter & Alerts - check, check; social-media - check, check. I just entered your name in our contest five times. Thank you so much! You have officially entered our contest. Best wishes! Thank you so much, Maureen! I see you are a new subscriber to our newsletter. I hope you enjoy it. Our next one will be in September as we combined our July and August newsletter (the one time of year we do). I entered your name in two times to our contest, for your comment and newsletter subscription. Best wishes! My email is armyanglbby@gmail.com. My name is Sherri Kunkel and my husband is an Army medic stationed here at Fort Carson. I am on Facebook, am following on Twitter, and receive both the newsletter and alerts. I like you on facebook and posted a link back on my fan page! Hello My name is Angel . My affiliation to the military is 41 years and counting . My husband was prior AF now crossed into the Army. My entire family all 5 brothers and 6 sisters are military. 2 died over seas but no matter how far we all have each other to lean on and learn from each other from being a close nit family . .My three teens are getting ready to also join. We have AF Army Navy Marines and CG in our family , Christmas is a Hoot. My dad retired out as 0-7 and instilled in us to be the best and to never say no or i can't . I am SAR K-9 Captain and i love helping train other dogs for military family's and Running a fire line for the FD. My email is Capt@@@@@@@@@casey@@@@@@1970 @@@@@@@@@@@ yahell dot Com..................I am glad so many family's can help each other and understand what we each go through . HI my name is Tanya and I am a military spouse of over 2 yrs now. My husband is career military and we have a short 4 years left until retirement. My email tanya dot fierro at yahoo dot com Thanks for this great giveaway. Husband is Active Army, 16 year old daughter, and an 18 year old son that just enlisted with the Army. I have just completed my degree in ultrasound and am now beginning the job search. I'm a big fan of AWTR! My email is kendallcampbell@me.com God Bless! Hi! I'm an Air Force chaplain's wife. We just PCSed to Alaska this week--very exciting! I love your posts! Always helpful and informative! My husband is active duty Army, we have 4 Army brats! Loving Army life! Thanks so much for all the discounts in information! I'm Ed, USAFR Loadmaster in Biloxi, MS. EdScherzer at gmail dot com. I get newsletter, alerts, I shared and tweeted about your site and contest! I'm a "Brat", but not your typical one. My dad was in the AF for 20 years and retired. During those twenty years, he traveled extensively all over the world to new bases. My mom was very excited about the travel!. They married, moved once to Omaha, NE, then moved back to Scott AFB in IL where she grew up and never moved again. My sister was also in the AF, and now my oldest nephew just joined in March 2011. So proud of my family and everyone in the military. Thank you for your services. Hi! I am a Marine Corps vet and wife of a Marine vet turned Army pilot for the last 15 years! Through year long deployments, wars, and losing friends...we have had a great military life and are thankful every day for this opportunity to serve. Thank you for your blog, for your information, and for getting it all together for the rest of us! I can be reached at s_talcott at yahoo dot com. Thanks again! How fun ! We are AD Army, 15 yrs in so far. On our 6th Deployment. Thank you so much, Leslie, for being a Newsletter subscriber! I hope you enjoy them. I have entered your name in our contest three times. Once for your comment, again for being a newsletter subscriber and the third for being an Alerts subscriber! Best of luck! I'm an army wife of 8 years, my dad is retired navy, grandfather retired navy. I have 2 little beautiful Army "brats" who are 1 and 4. I'm a Navy wife and mom of two girls. We just moved for the 3rd time in 3 years! Our family could really use one of these. I have followed you on FB, and have gotten some great information and saved money!! KRT1ST@YAHOO.COM. Thank Ypou! I'm aprille AD army wife...my soldier is down range right now. Also proud Navy sister to AD sailor. I like military avenue on facebook and shared this giveaway. I am a loving Army wife and also a fairly new mother of one to our gorgeous 8 month old daughter. My husband is soon to be deployed come September and we couldn't be more proud of our soldier!!! I'm signed up to both newsletters and alerts and shared on Facebook. I am a proud Army wife and proud stepmother of an Army soldier. Very proud to be part of the Army family. I have been receiving "Military Avenue" on FB for some time now,,,thanks for a place for us. I'm a proud Army wife! i used be a soldier then soon after i was an army wife, my family is miltary so i know how hard it can b.
Hello All .. I am Gina .. I am an Army Spouse for almost 15 years now .. I have two boys.. We are currently stationed here on Fort Irwin. the one thing I can say about this place is it is not as bad as most say it is .. weather is okay .. views are amazing and for the most part people are friendly enough. I am a Navy Wife. I also subscribe to the family newsletter. effulgent7 at gmail dot com. Hello! Kristen, was in the Army, and now married to an amazing soldier. Thanks so much for your service as a Military Spouse! This is entry #1 for you! Best of Luck. Entry #2! Thanks for helping spread the word. Angel, what a great history you have! Thank you so much for joining us at MilitaryAvenue.com. I put your email address in our hat! Best wishes! Tanya - Thank you for entering our contest! I entered your name in our hat. I also see you are a Military Alerts and Newsletter subscriber. That is two additional entries for you. Best wishes! My name is Elaina Mercurio! My husband is enlisted as a 68K. We havent relocated yet so the move is making mew nervous, but we are excited for the new chapter ahead of us! We have a 5 year old daughter named Angela and a 1 year old son named Cory Junior. Kendall - Thank you so much entering! We are huge fans - and supporters - of AWTR / Army Wife Network as well. Great group of gals. I have entered your name in our hat. If you subscribe to our newsletter and Alerts you get two additional entries! Give it a whirl: http://militaryavenue.com/Answers/Signup.aspx Best of luck! Thank you for entering, Pattie! I have met some wonderful chaplain's wives in my very long history in the military-family. Thank you! If you want a few additional entries in our contest be sure to subscribe to our newsletter and Military Alerts: http://militaryavenue.com/Answers/Signup.aspx Good luck! As an Air Force wife of three wonderful children this means alot to be recognized for our efforts. We are reenlisting next month and look forward to many more years with the service. Currently stationed in sunny southern Florida at Patrick AFB. Thank you Geraldine for entering! I also see that you are a newsletter and Military Alerts subscriber. I put your name in the 'hat' three times. Good Luck! Thanks for entering, Diane! I am also a National Guard spouse with a deployment under my belt. I count myself very fortunate. I see you are a newsletter and Military Alerts subscriber as well. I entered your name in our hat three times! Thank you. Thank you, Sylvie! I grabbed your email address from our commenting system and entered it into our hat. Good luck! Entry #4. Look for your first newsletter in September. We combine our July / August Newsletter the rest of them are monthly throughout the year. Entry #5! We send out Military Alerts on the 1st of each month, which would be today. Good luck in our Giveaway. Thanks, Victoria. Comments like that make me smile a mile wide! [We all need encouragement once in awhile ;)] I looked up your email in our commenting system and have entered your in our giveaway! Don't forget if you subscribe to our Family Newsletter and MilitaryAvenue Alerts that would be two additional entries. http://militaryavenue.com/Answers/Signup.aspx Good Luck! Thank you, Ed, for your service in the USAF! [I'm a proud USAF brat ;)] I found a different email address in our Subscription tables, but same name, same area so I'll assume it is you. So you have been entered four times! Good luck. Thank you, Mandy! We are big fans of AWN as well; it is wonderful to give and get support from those that understand the military way of life. I have entered your name in our contest! Let me know if you shared it with your friends and I can enter your name again. We try to make it easy to get chances to win. Good luck! Monica, from one military-brat to another 'Thank you'! I don't know that Military Brats get to hear that enough. You work for a great company and USAA is helping make this whole Giveaway possible. Support doesn't get much better then that! As an employee of USAA I am sure you understand that I can't put your name in our 'hat'. But we definitely appreciate your support. Hello everyone! My name is Bree and I am a newlywed Marine wife! I am really enjoying the military life so far :) I love reading the monthly family newsletters (I am subscribed!) They let me know about a lot of new stuff that I had not previously known about the military. I also enjoy getting the discount alerts because who doesn't love discounts! I also tweeted and facebooked this contest to allow more people to be able to see what Military Avenue is all about! My email is bree.brummett @gmail.com. Thank you, Stephanie! I put your name in our hat four times. (Comment +1, Newsletter subscriber +1, Alerts subscriber +1 and Facebook friend and share +1) Best of luck. Thank you, Monika! I have entered your name in our hat. I see you are a subscriber to our newsletter and Military Alerts so that is two additional entries for you. Good luck! Thank you, Aprille! I have entered your name in our contest four times. (This comment being the first entry) Best wishes. and Entry #4. Thank you! Best of luck. Hey! My name is Krystal and my husband is Active duty Army! hooah! I love the military and am seriously considering joining myself! I already get the newsletter and love it! II have also shared this on FB so all of my military family can see the love! My email is sisalk08 at yahoo dot com! I also joined the FB page! Thanks! I am Ana and my husband is Coast Guard, we have two children and we are stationed at USCG Sector Key West. Always wonderful to have resources for our military and their families! What a fantastic giveaway! My name is Ralene and I'm an Army wife stationed in Hawaii. I love reading your blog posts! Of course, I just commented. I also signed up for the newsletter AND alerts. I follow you on both FB and Twitter. Thank you for this wonderful opportunity! I posted the giveaway to my facebook page!